Three awesome things happened today. 1. I picked up a writing project! This project entails helping a doctorate student in a chemical engineering program put words to his research. Don’t be surprised if I end up writing a post or two about what I’m learning. 2. I watched The Shallows in theaters. At first, I wasn’t going to because I was afraid the movie would not be all that great. Now, I’m glad that I did! It was epic and suspenseful and awesome. The biggest recurring thought as I watched: Wow. Not sure I would be smart enough to outsmart a shark. 3. 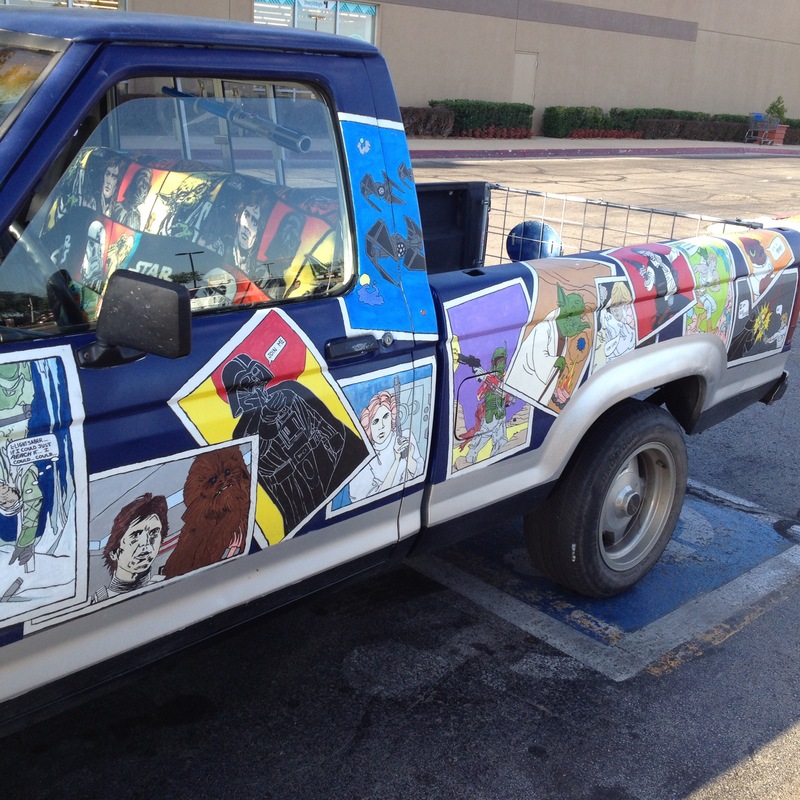 I saw the COOLEST truck ever in the Dollar Tree parking lot. 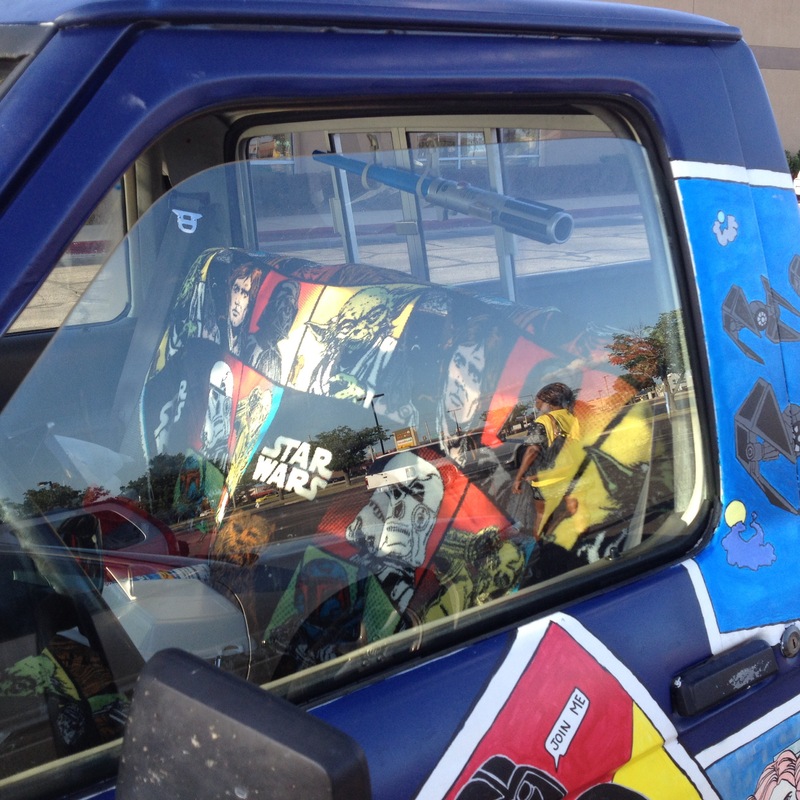 I had a geek out moment…I might have contemplated stealing this truck…. Check out the light saber on the gun rack. I circled this truck at least 5 times. 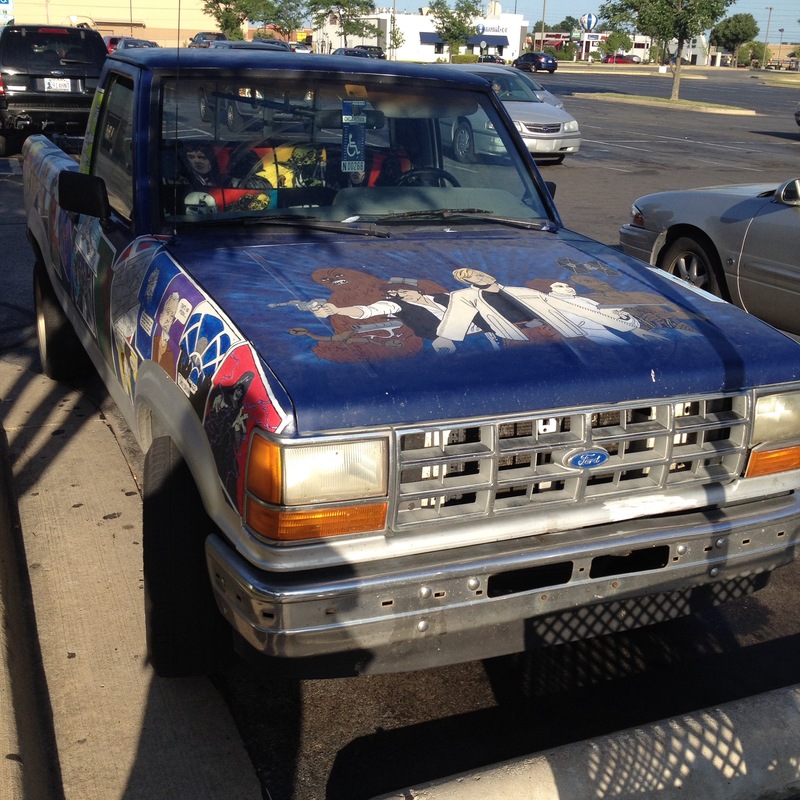 I’ve never seen anything quite like this and now it has me thinking about making a comic book car. Well, I’m headed toward bed. It’s been a great day.